Having a Singapore resident director who is a Singapore citizen, PR or holding a relevant working visa such as Employment Pass, Entrepass or Dependent Pass. Many Foreigners or new start up companies may not be aware of their registration needs for the relevant Singapore business license. Depending on your business, you may need to be licensed by different authorities. Beyond a basic operating license, you may need specific permits, such as an environmental permit. Regulations vary by industry and professional therefore very important to understand the licensing rules where your business is located. Not complying with regulations for licensing and permitting can lead to expensive fines and put your business at serious risk. At Paul Hype Page & Co, our Singapore business licenses specialists provide you with rare breadth and depth of Singapore license expertise as well as our proactive, innovative approach to reducing your setting up burden. If you are actually interested in finding out more about the licenses required for a wide variety of Singapore businesses, this guide will be able to assist you. With our team of expert staffs, you can rely on our services to assist in incorporating your business operation as LLP. You do not need to waste countless hours thinking about how to go about your application. Our strategy is proven and we will supply with all the tools and information to start a business in Singapore, how to be more competitive in your niche, how to set business standards and prepare for risks and challenges, and keep records of important documents and company’s policy. Singapore government has assigned intellectual property and innovation rights to foreign corporation, engineers, investors, and designers to ensure that they receive revenue from income from offshore firms, rather than have those royalties come to them directly. This means that Singaporeans receiving income through offshore companies DON’T attract any tax. At Paul Hype Page & Co, we have the experience and specialize on offering tax haven incorporation services for firms in different tax jurisdictions. 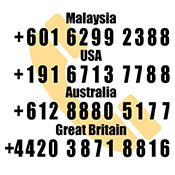 We operate within the limits of laws and regulations set by the government of Singapore. We provide details and solutions for offshore as well as local corporations all aspects of offshore companies, for both outbound and inbound international tax structuring. If you are interested to register a company in Singapore, at least one resident (Singapore citizen, PR or EP holder) is mandatory. However, there are no limits on the number of additional local and foreign directors a Singapore Company can appoint. Directors must be 18 years old and not be convicted of malpractice or be a bankrupt in the past. Whatever your needs, we invite you to contact us today to kick-start your Singapore venture today! 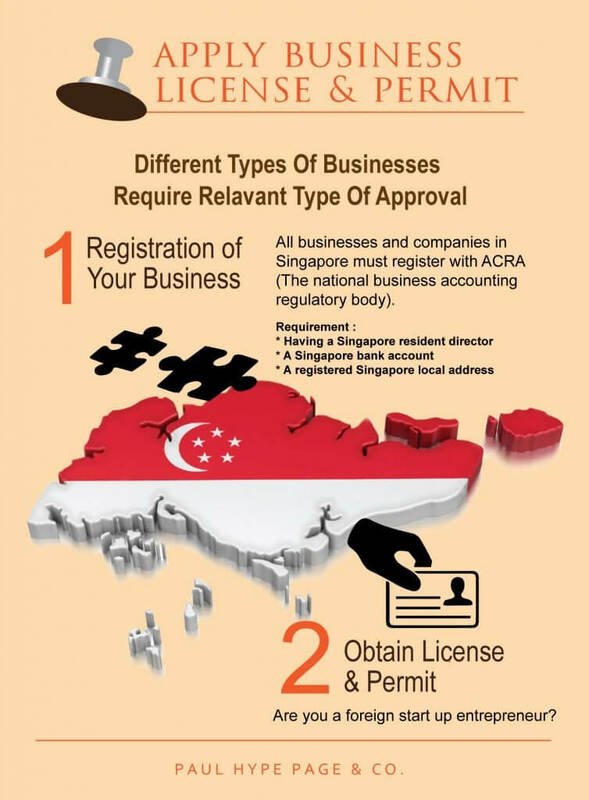 Registering a Business in Singapore? 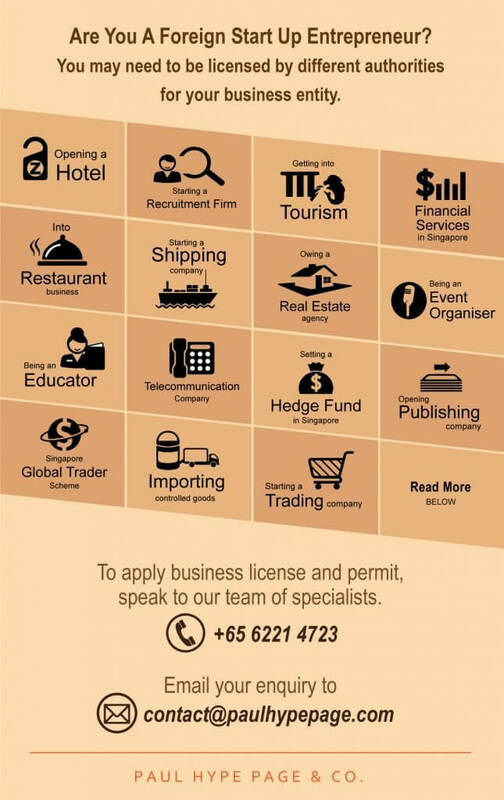 Find out How You Can Obtain the right Singapore Business Licenses & Permits with our recommendation below. The hotel industry is thriving in Singapore as it continues to attract hundreds of thousands of visitors every year. In order to start a hotel in Singapore, you will need to have a Certificate of Registration and a HotelKeeper’s License which you have to get from the Hotels Licensing Board. Basically, the former is used to ascertain your approval to house a hotel in the building while the latter is required if you want to actually manage a hotel. Be mindful that these requirements also include any establishment that plans to charge tourists or visitors to stay over in your premises. It is becoming increasingly normal for large and medium sized corporations to outsource recruitment activities to an external party. It can be a very lucrative business if you are able to attract the right type of talent. The first step towards owning your own recruitment firm would be to incorporate your company. Once you have done so, you would need to get permission to operate out of your business office or premise. When all that is done, the third step would be to apply for an Employment Agency License. For more details on the proper licensing procedures, click here. As mentioned earlier, tourism is budding in Singapore. Opening a tour agency gives you the chance to promote Singapore to the world. Firstly, though, you would need to obtain a travel agency license from the Singapore Tourism Board. However, you would need to fulfill certain criteria before you can obtain your travel agency license. Most people often say that financial services are where the money is at. If you were looking into financial services, you would need to adhere to the Securities and Futures Act and Financial Advisers Act. All rules and regulations pertaining to financial services in Singapore are governed by the Monetary Authority of Singapore. There are two different licenses, which you may apply for depending on the type of the different types of financial services you give to your clients. For a clearer idea if you require the capital markets services license or the financial advisers’ license, click here. Being in the food industry is always fun especially if you are planning to open a restaurant. One thing about Singaporeans is that they are always searching for good food so if you can fit the bill, you will definitely have a lucrative and profitable business. Regardless of whether you are operating a restaurant or a cake shop, you will need to obtain a Food Shop License. Other things you would need to look into would be to incorporate your company, obtaining liquor license and looking into the halal establishment scheme (if necessary). click here for guidance to incentives for food industry in Singapore. Due to the fact that a shipping company would encompass international policies and procedures, there would be slightly more permits and licenses you would need to obtain before starting your own shipping company. Just to name a few, harbour craft license and port clearance certificate are just some things you will need before in order to utilise Singapore and international ports. If you are planning to transport dangerous goods, you will need to seek approval for that as well. To gain better insight of what you need to begin your Shipping Company operation, click here. You know that property prices are definitely going to rise in Singapore so you think that operating a real estate agency will enable you to profit from the property boom. Well, there are a few requirements you need to tick off before being able to do that namely being a Singapore citizen or PR, experience of at least one year in a real estate agency and have more than 50% ownership of the real estate agency. All submissions should be sent to IRA’s House Agents Licensing Unit. To find out more on the procedures involved, click here. It is always fun to organise events. If you have the flair for it, why not set up your own event company? However, be mindful of the different types of licenses and permits which you would need to obtain before looking for your first gig. There are licenses for many different things especially if you are planning to organise a wide variety of events i.e. outdoor concerts, events that involve fireworks display, etc. Opening up an institution of learning in Singapore is a bit trickier than the rest, though, simply because there are a lot of controls which you will need to get through before you can actually start your business. For example, before you even start, you will need to analyse exactly the relevant types of passes for businesses as well as permits and business visas. For a good help guide for you, click here. Infocomm Development Authority of Singapore monitors businesses, which are involved in the telecommunications industry. Whether you are thinking of supplying communication lines or providing Internet services, you will require an approved license from the IDA. Be very careful what your business consists of because there are different types of licenses for each section. You have incorporated your company with the intention of starting a publishing house. What is the next step? Well, applying for licenses of course. As for other types of businesses, you need to already have a clear plan of where you are headed so that you know which type of license or permit you are going to apply for. Newspaper permit, printing press license and online publishing license are just some of the things you need to be aware of. For a great source of information, click here. Hedge fund is doing well in Singapore. It tends to undertake a wider range of investment activities and invest in a broader range of asserts than other funds. It contains onshore funds and offshore funds and has different requirements. Singapore Global Trader Scheme encourages global trading companies to conduct business on the base of Singapore by giving members a concessionary tax rate of 10% on their qualifying trade income. To join the Global Trader Scheme, your company needs to fulfill the criteria of the Scheme. Controlled goods include cigarettes or any tobacco product, animals, food products, petrochemicals and drugs, whose import/export are under the control of the Controlling Agencies. To import controlled goods, what you need is to apply for an IN Permit through TradeNet® and understand requirements for different controlled goods. Singapore plays an important role in the import/export trade market for its special geometric position in Southeast Asia. With a trading company, you can import/export various goods. Through incorporating a company, registering with Singapore Customs and applying for licenses and permits you can start a Singapore trading company. Our company specializes in helping entrepreneurs like yourself set up a business quickly and efficiently in Singapore through our all-in-one Incorporation with Employment Pass package. Our dedicated team will contact you regarding the information that you need. In the meantime, please contact us paulhypepage@php-cpa.com.sg if you have any further queries you would like us to assist with. Hi! We are going to incorporate in Singapore as transport broker. We will provide intermediary services in transportation and logistics. Can your company help us to incorporate and obtain licenses if needed? We are happy to be of service. Our Corporate Specialists can provide you with a smooth one stop solution from incorporation to your business setup. Do drop us an email at paulhypepage@php-cpa.com.sg for more details and charges. We look forward to working with you! The best way will to setup a Private Limited company in Singapore. We will need more details from you about what kind of licenses you need to advise more. Do drop us a note via CONTACT US page.